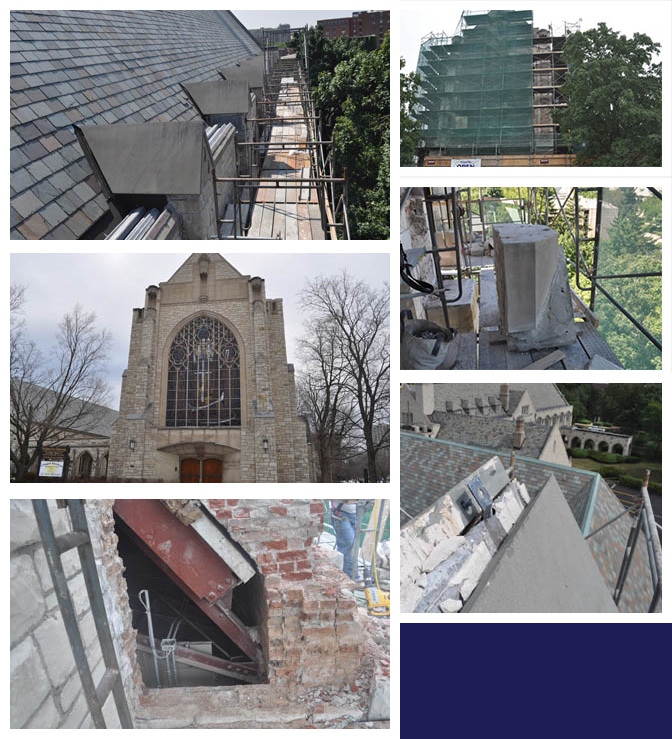 The International Concrete Repair Institute (ICRI) has selected Building Technology Consultants, Inc. (BTC) for an Award of Merit in the Masonry category for the Northwestern University, Alice S. Millar Chapel Buttress and Exterior Facade Repair Project. The formal award will be presented to BTC and its Project Manager, Patrick Reicher, on October 13, 2011 at ICRI's fall convention in Cincinnati, Ohio. Pat Reicher stated, "I am so pleased that the BTC team has earned this prestigious award. This project was particularly complicated and required close coordination between our client, the selected contractors, and BTC. Specifically, the technical challenges during construction required expeditious decisions to address unforeseen and concealed conditions. It was clearly a successful team effort." Northwestern University's Alice S. Millar Chapel was originally constructed in 1962. The exterior facade is clad in lannon stone, buff limestone, and bluestone. Full-height 60-foot tall buttresses constructed with common back-up brick are located at each corner of the building and intermittently along the east and west elevations. The primary project objectives were to rebuild portions of deteriorated buttresses with durable freeze-thaw resistant materials and limit the amount of water that could penetrate the exterior facade. After performing a condition assessment and structural evaluation, repair details and specifications were prepared to address the observed deterioration and water infiltration at the buttresses and exterior walls. To read additional details about this project, please view the Project Profile.